We’ve heard it time and time again, this idea of purpose being at the heart of our lives, but have you stopped to look at what ‘living on purpose’ actually means for you? The world is an increasingly noisy place, at home, at work and pretty much everywhere you go. How do you distil it all and make sure you’re not filling time with busy activities which may not actually matter? How do you work, or run a business, or live your life and not get to the end of your day, or year or worse your life and say what was that all about? In the words of Mark Twain, “Two of the most important days in your life are the day you were born and the day you find out why”. 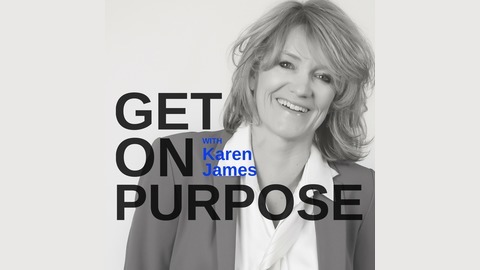 Get on Purpose is the podcast where we fuse what matters most in your life, and business, to create your blueprint and framework to get clear, get moving and get results. 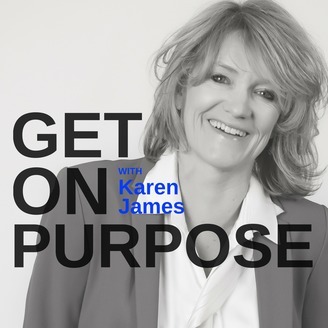 Each week your host, the informed and infectious Karen James, guides you towards what matters most as the key to living on purpose in business and in life.